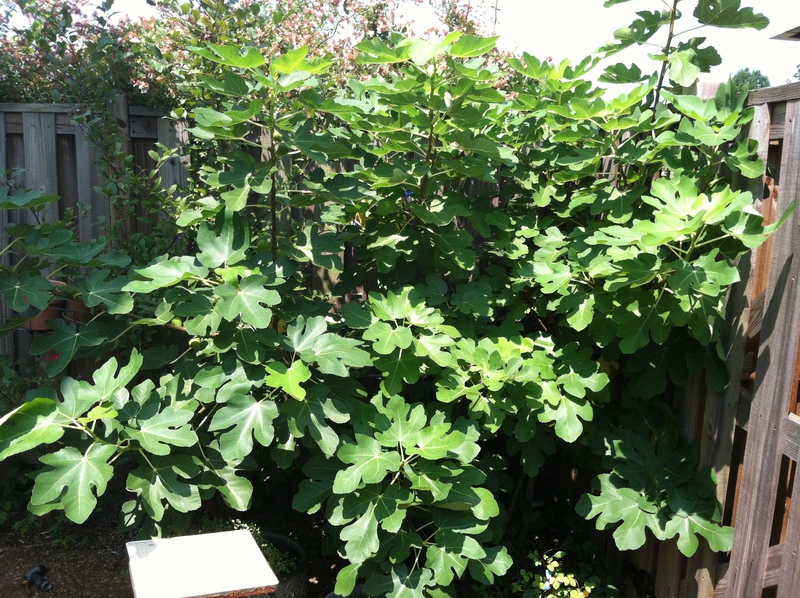 The fig tree in our patio garden has been evolving, spurting, freezing, fruiting for about 6 years now. 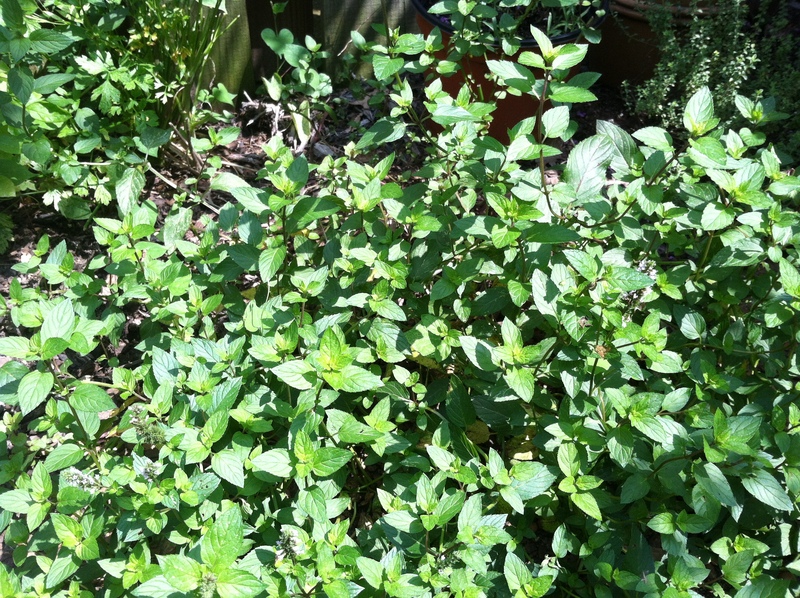 It took 3 years for fruit to first appear in quantity, then the tree took a dive after an icy winter, then grew back with no fruit, then dove again because of an icy winter last season, now its branches and leaves are threatening to take over the backyard–but no fruit. By this time in the summer, 3 years ago, it was full of fruit (so Facebook tells me with one of their blasts from the past to remind me what I was doing years ago). This coming winter I’m determined to wrap the tree in plastic or tar paper (like they used to do in the Brooklyn backyards of my aunts, uncles, and grandparents). 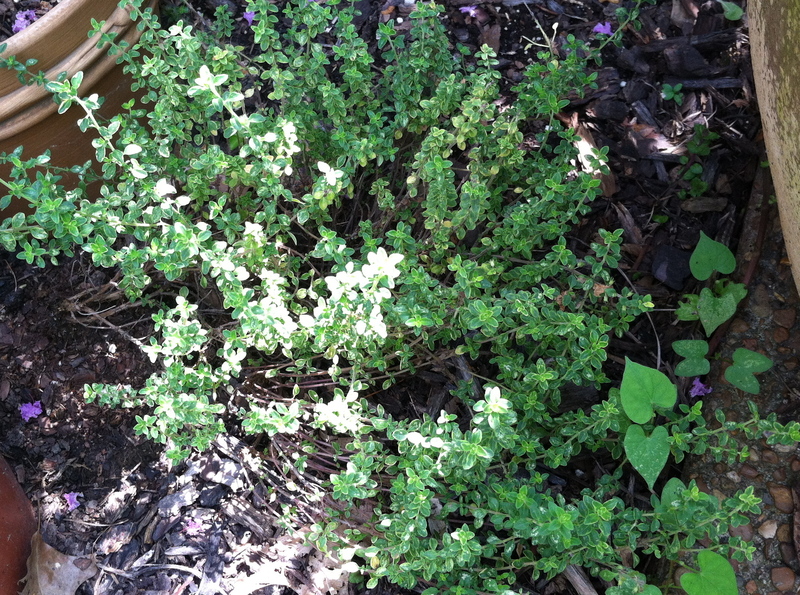 Maybe then it can get thru a harsh winter and continue the 3-year growing need to start giving fruit again. But guess what? 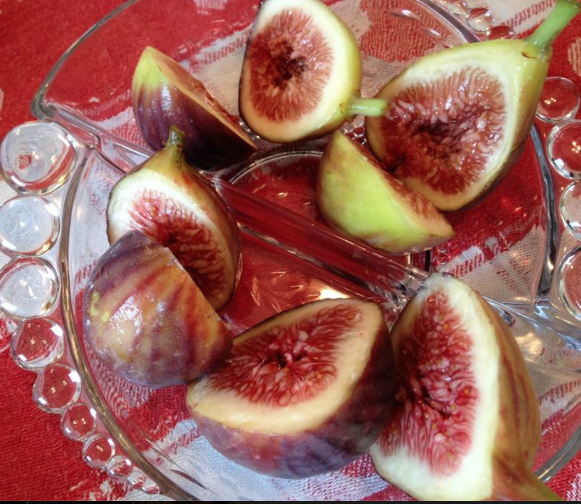 Figs are in the food stores now and I’m not shy to snap them up from a shelf. 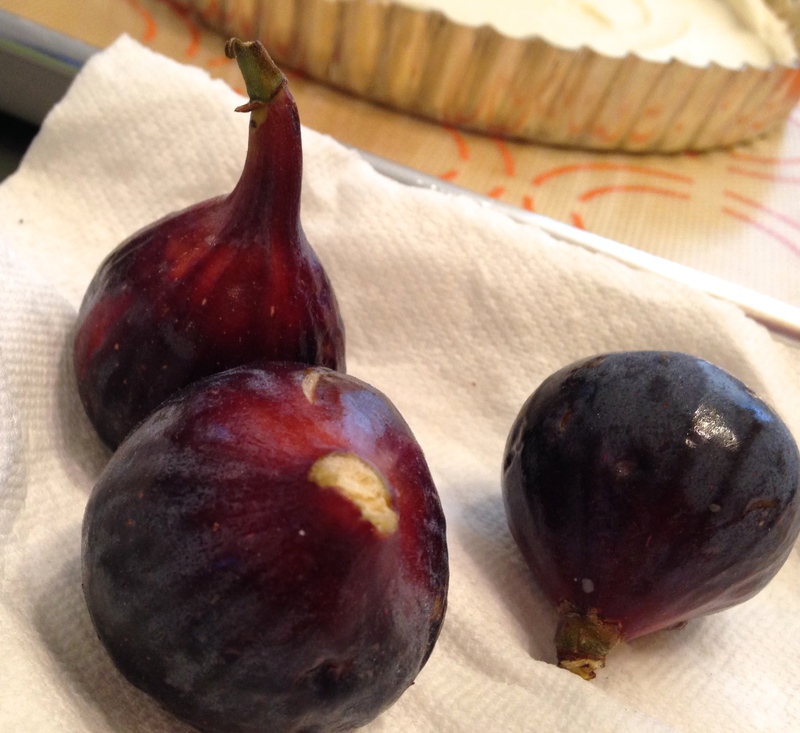 Here are some turkey figs my mom got in Publix. I couldn’t resist the black figs and grabbed a large box of them. 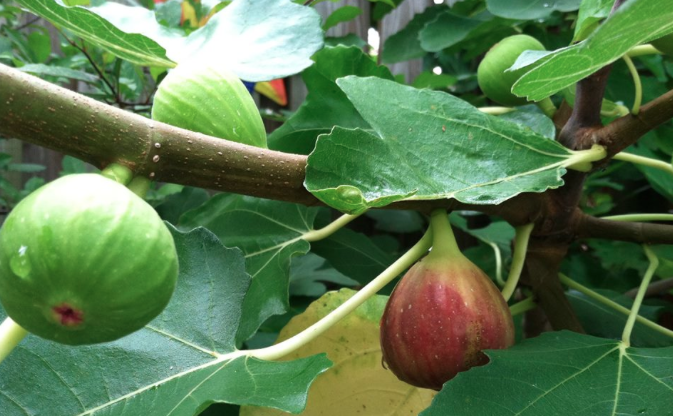 The two fig types taste pretty much the same. WONDERFUL. 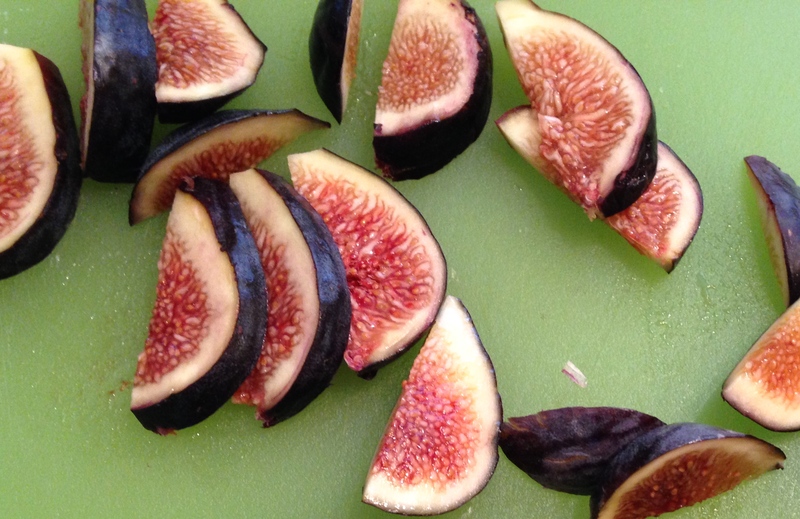 What to do with wonderful figs? Figs and prosciutto. 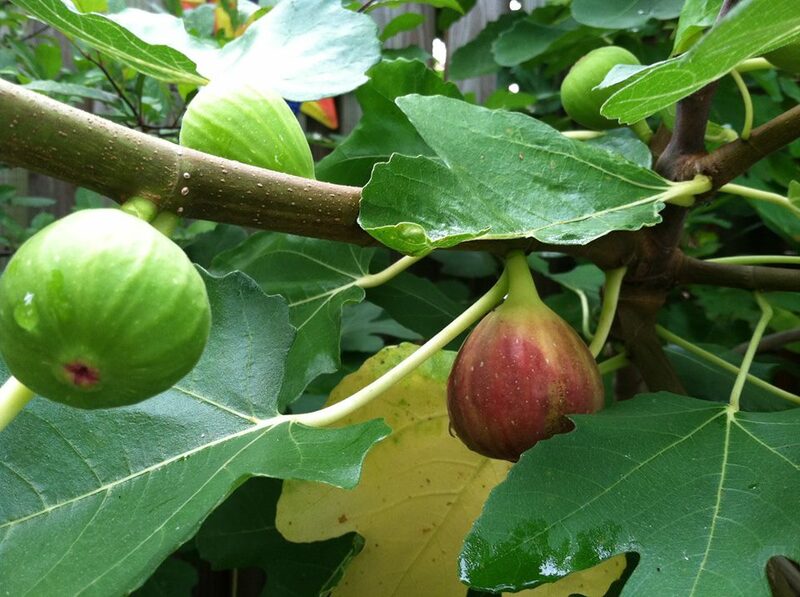 Figs in a Moroccan tagine. Figs stuffed in a ravioli. Figs just in your hand and then in your mouth. 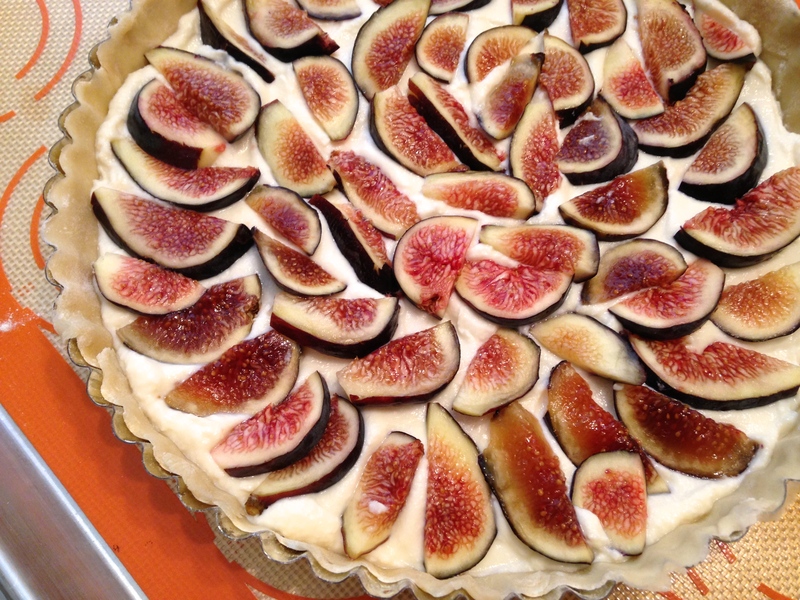 Or figs in a simple tart. This one is easy peasy. 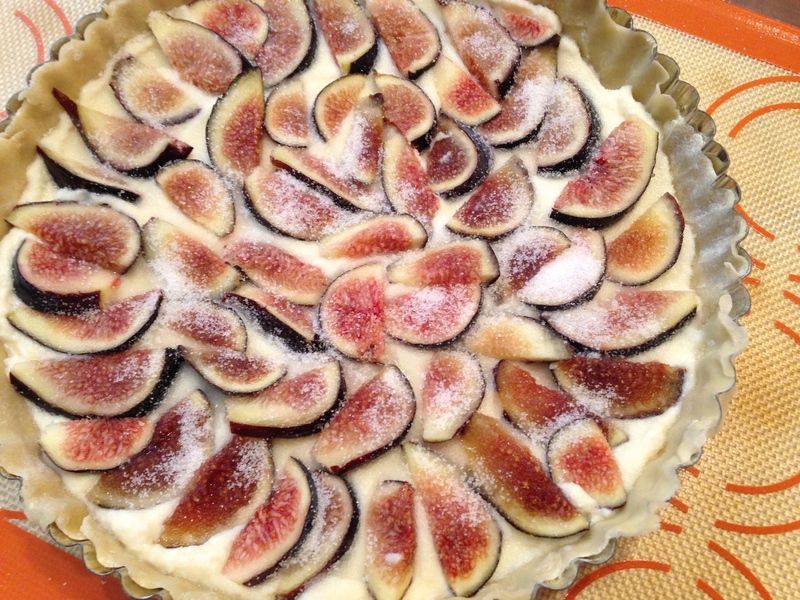 I sliced the figs into thinnish slices. 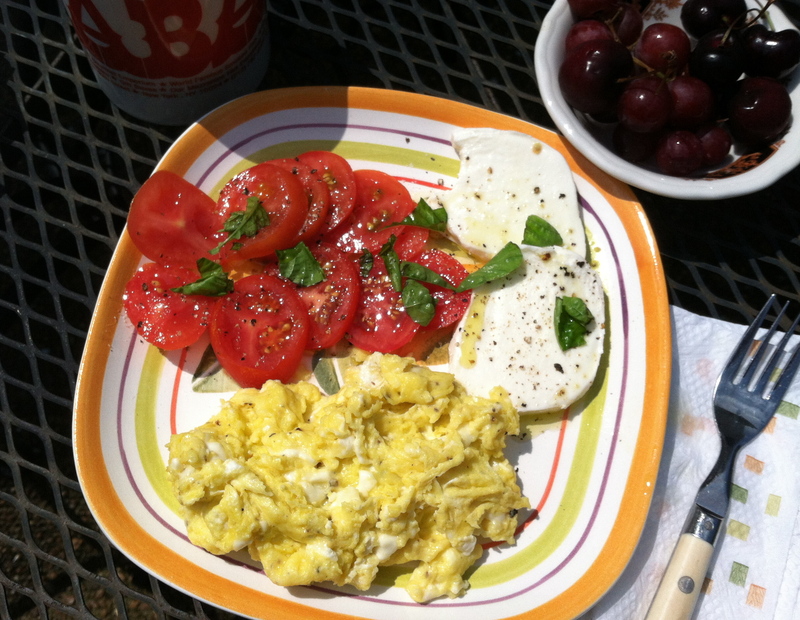 I had a cup of ricotta in the refrigerator leftover from a class. And I also had a small ball of pastry dough leftover from a class. I rolled out the dough intending to make a galette but there was enough for an 8-inch tart pan. 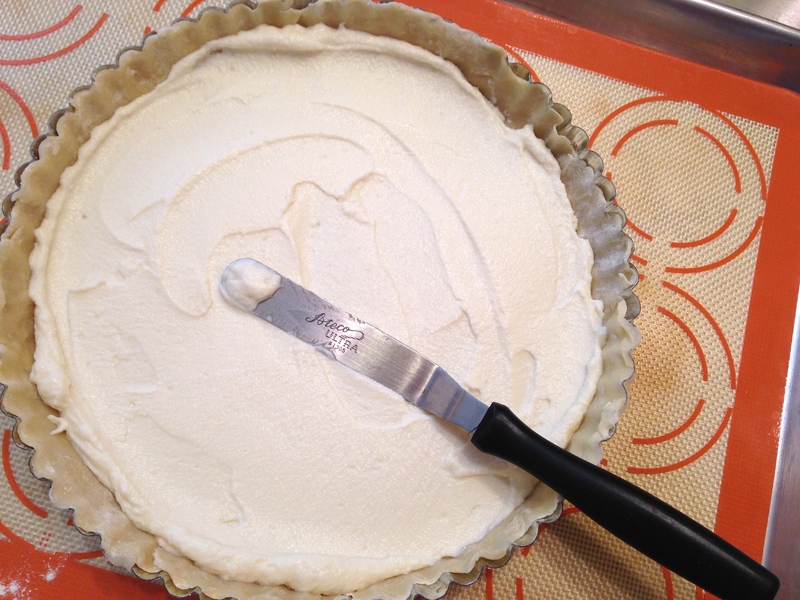 I mixed the ricotta with some sugar and a bit of vanilla extract, and spread it evenly in the dough shell (uncooked). 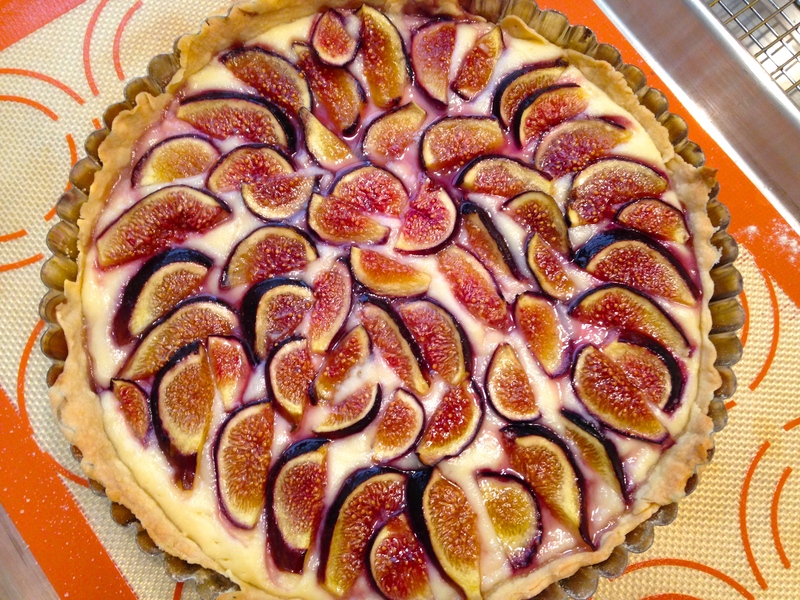 …baked it in a 375 oven for about 30 minutes until the tart dough got a little golden. Stunningly tasty. So simple. 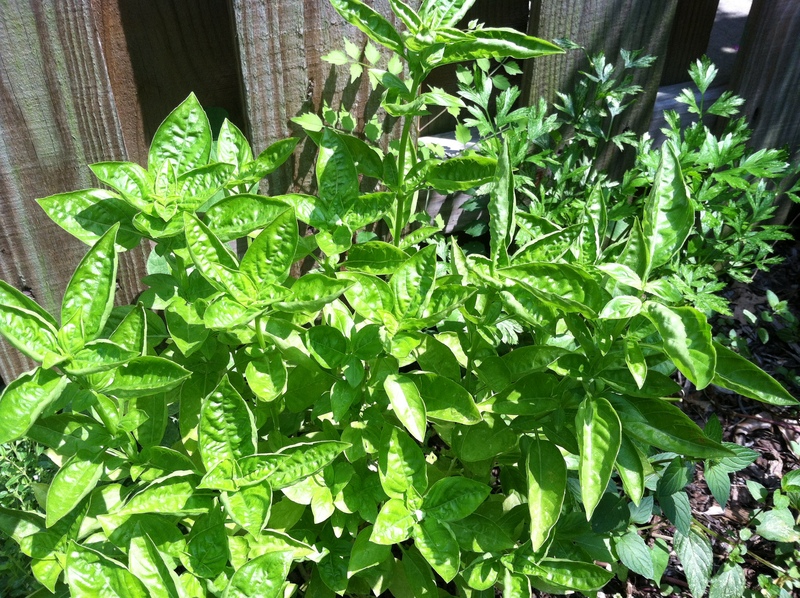 Like sitting at the backyard arbor table of a Tuscan villa, in the heat of lazy summer, and the sun playing hide and seek with a nearby giant fig tree. That’s what it tastes like. 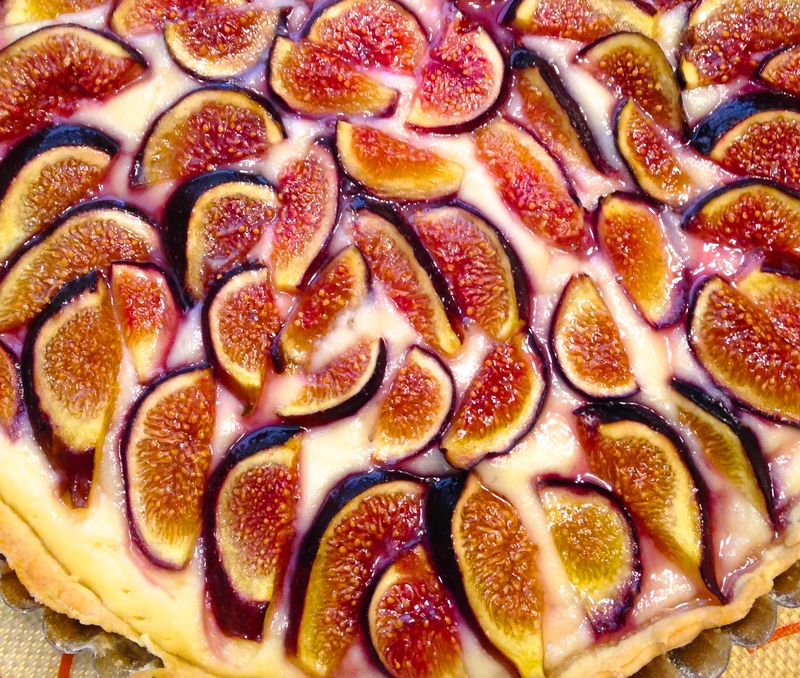 Bring that villa home to you with this tart.